2014 brought many positive benefits for CultureMix and RASPO including two major new projects: Schools Steel Band Festival and RASPO Summer Carnival Steel Band project. CultureMix continues to support RASPO rehearsals at South Street Arts Centre with weekly workshops and rehearsals for all abilities. 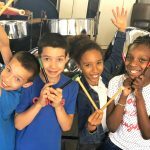 All steel pan music workshops are free of charge and beginners are welcome to try their hand at learning alongside the seasoned professionals. An effective way of learning for talented young people who enjoy the challenge and pace. 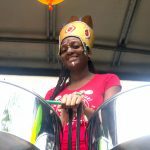 ITV’s Asana Greenstreet explains the steel pan in her short film featuring RASPO. RASPO bookings during 2014 included Reading Half Marathon, the Rock and Ale Festival, Caversham Festival, the Afrovibes Festival at South Hill Park Arts Centre and the Berkshire Stoptober tour. The ensemble provided entertainment at twenty-five functions, weddings, parties and corporate events including Empire Day at Henley’s Plowden Arms. RASPO launched the first Summer Carnival Steel Band project at South Street Arts Centre attended by RASPO’s patron Pax Nindi. 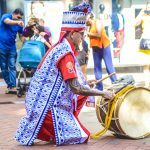 The project attracted new musicians to a series of intense workshops featured in a short ITV film Banging the Drum for the Tropics, followed by performances in Reading and at Notting Hill Carnival. Watch RASPO perform at London Notting Hill Carnival 2014. Film by Real Time. In November RASPO provided entertainment for Reading UK CIC’s Super Cool Christmas launch. The Calypso and Carols concert followed in December to celebrate the festive season and raise much needed funds to keep the music school running. The Carnival music and arts service offered by CultureMix continues to impress with local and national schools benefitting from the bespoke offer that ranges from weekly music lessons and specialist development to instrument supply and maintenance. Schools Steel Band Festival DVD trailer. In March the first Schools Steel Band Festival launched in Berkshire. The event featured gifted and talented steel bands from six primary schools who joined together to create a one hundred strong orchestra for the finale. CultureMix offered specialist workshops to The Haven and Kendrick School in Reading Berkshire with carnival events organised at schools in Reading, Bristol, Bedford and London. RASPO musician Anisha Thomas received a Bronze Arts Award from Reading Museum for her contribution creating new t-shirt designs for RASPO Steel Band. The designs, on permanent display in the museum, are part of the World Stories South East project. The Carnival Partnership Consortium launched at The Dorchester Hotel in Park Lane London attended by the UK’s top carnivalists with special guest actor and Strictly Come Dancing star Colin Salmon (pictured left with Mary Genis), Global Carnival CEO Pax Nindi, pan pioneer Bubbles, and Arts Council Chair Peter Bazalgette. The consortium organisations are The New Carnival Company, St Pauls Afrikan Caribbean Carnival, Carnival Arts and Masquerade Foundation, and the UK Centre for Carnival Arts. A new book ‘Carnival‘ launched at The Tabernacle in Notting Hill. The book by Ishmahil, Jr. Blagrove and Margaret Busby, is a photographic testimonial history of Notting Hill Carnival. 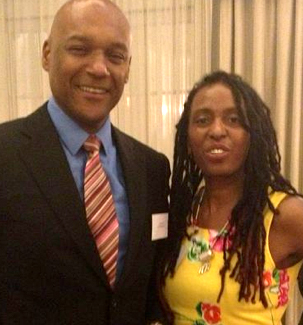 Sterling Betancourt MBE became a patron to RASPO and launched his biography ‘London is the Place for Me’ telling the story of his steel pan journey. 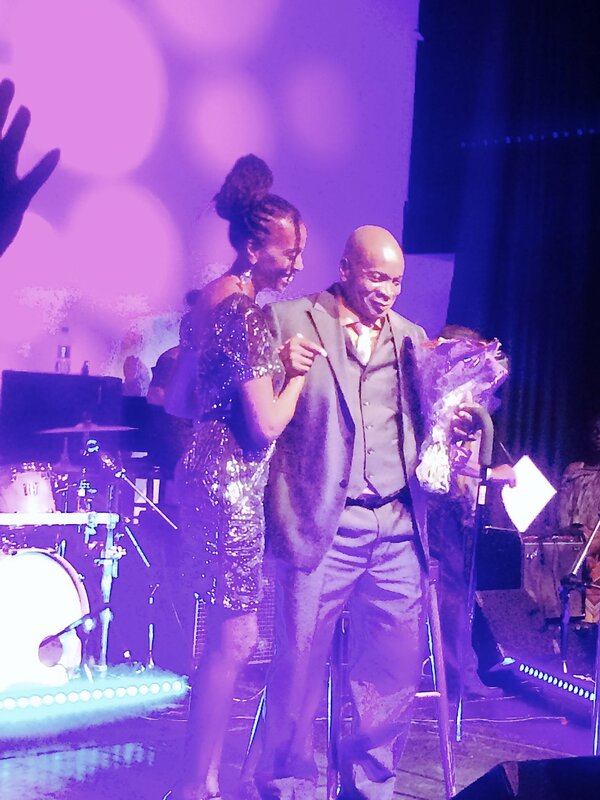 In her role as a trustee for Carnival Village Trust Mary presented The Mighty Sparrow with a bouquet following his performance at The Tabernacle in Notting Hill. See above image. CultureMix was well represented in the media with an ITV film by Asana Greenstreet thanks to Sangeeta Bhabra (see above). There were also live interviews on BBC Radio Berkshire thanks to presenter Bridgitte Tetteh who regularly promotes projects and events throughout the year.